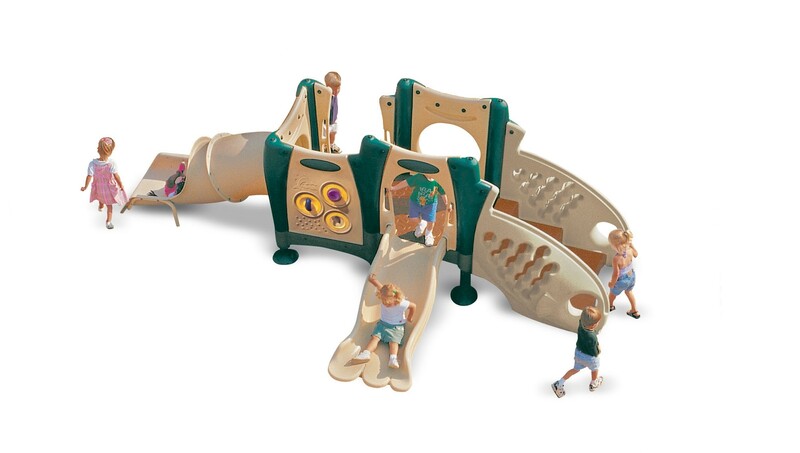 Designed for the specific play style of children ages 2-5, Toddler 2 playground for toddlers provides preschool and daycare children a wide range of play activities in a compact design. 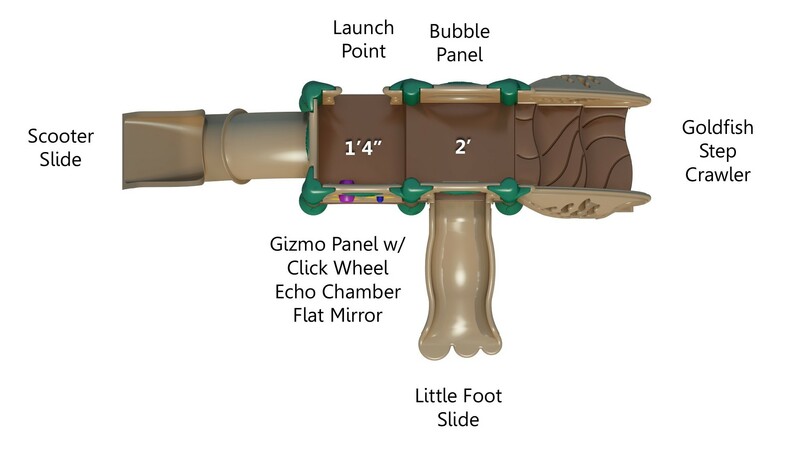 The perfect toddler playground, it features three interactive gizmos for auditory play that enhances fine motor skills, “Launch Point" that encourages positive risk-taking and a fun Scooter Slide. Stairs are enclosed with distinctive fish scale design for a fun, tactile entryway to this playground for toddlers. This toddler playground has multiple color options. Toddler 2 has been a favorite playground for toddlers for years.